From figuring out the most intricate décor details to designing an entire space, finding the perfect interior solution for your home is our passion. From family homes to beach houses and inner-city apartments, our designs can be seen all around Victoria. Whether you're staging a property for sale or building a display home village, we have experience in commercial projects large and small. No matter the size, our commercial designs always focus on creating inviting spaces with a contemporary finish. This gorgeous family home in a prestigious area of Melbourne went from a modest renovation to a huge overhaul and will now provide a lifetime of practical and stylish living for this large family of seven. 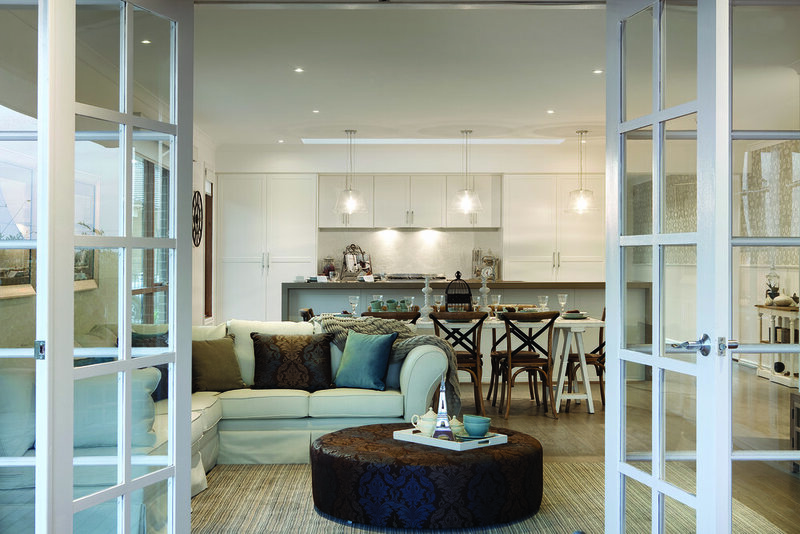 For this typical beach-side suburb in Melbourne we developed a casual coastal feel combined with contemporary finishes using an open floor plan to offer relaxed living for the whole family to enjoy. Luxurious finishes and made-to-measure furniture elevated this classic South Yarra terrace extension to the height of modern sophistication. Leather details and custom Knightsbridge pieces were the cherry on top of a timeless yet rejuvenated new look. How to give a contemporary home a friendly 'cottage' vibe? Think wallpaper, timber cladding, light classical furniture and hints of blue, warm browns and cream. Et voila, the French province can come to you. Giving a new apartment a homely feeling requires a holistic design proposal and a dose of practical yet pleasant features. This apartment received a homely makeover thanks to glass doors leading to the balcony, custom-created artwork and effortless open plan kitchen.